The invoice is a document issued to the guest outlining all the transactions associated with a reservation, including room rates, payments, adjustments, and additional products sold. Generating an invoice is useful to show the guest how much they owe along with a breakdown of all the charges. Step 2. On the 'Invoicing' page you may set the way invoices for guests are generated and displayed. 1) Would you like the invoice to be generated based on the country the guest is from? 2) If you selected No on the previous question, or if the language for the country of the guest is not available, select the language in which the invoice will display. 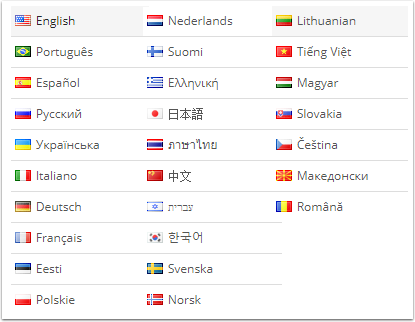 *If you want the invoices to be generated in one specific language, select 'No' in previous option and choose the language you would like the invoice to be generated in. 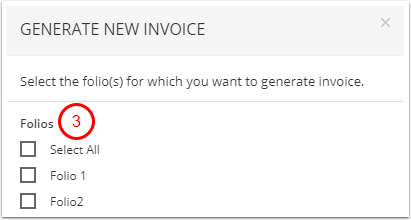 This is the name of the invoice that will appear when you download a PDF or send an email with the invoice, in case you want to name it something other than "Invoice"
The number of the first invoice that gets generated. All invoices generated after will be sequential, continuing from this number. If you enter "1" here, your first invoice number will be 1, followed by 2, and so on. if you enter "1001", your first invoice number will be 1001, followed by 1002, etc. If you would like the tax number appear on the invoice, add it below. You can add up to two tax IDs. This image uploader allows you to add your property logo to display on the invoices. Recommended size is 100 pixel height and 100 pixel width. If this option is selected, each time a new reservation is created within the application (this includes both manually created reservations from within the application, as well as all the incoming reservations from the channels you are integrated with), the invoice will be generated immediately. This means that you do not need to generate an invoice each time. The default due date will start counting from the day the reservation is created. 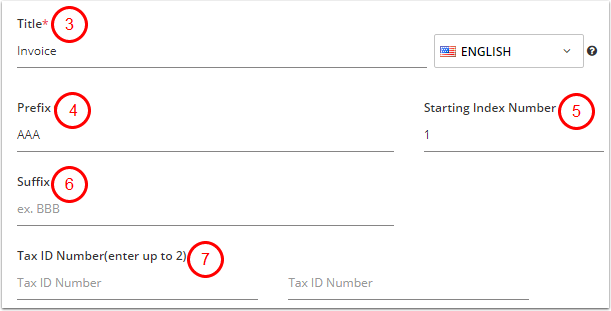 If this option is selected, an invoice will not be created until you navigate to the reservation and generate an invoice. With this option, you will be able to pick and choose which reservations have an invoice, and keep the index number consistent based on when you generate the invoice. The due date will start counting from the day the invoice is generated, not the day the reservation is created. 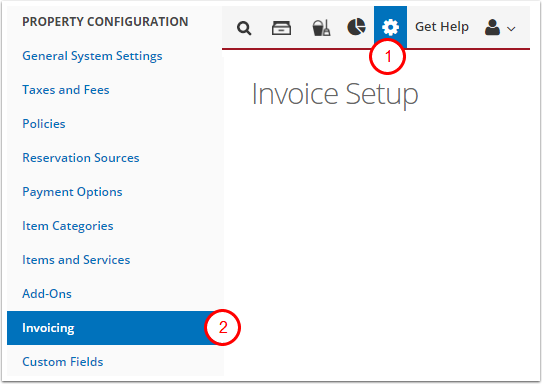 Learn how to create an invoice from reservation in section below. This refers to the number of days the guest has to pay the invoice from the time the invoice is generated. If the invoice is generated immediately, this will be the number of days to make a payment after the reservation has been created. If you have selected to generate the invoice manually, this will be the number of days after you generate the invoice. If you do not want to display a due date on invoice, leave this area blank. If enabled and the property has multiple taxes, a breakdown of the total of each tax type will appear on the invoice. If you have any additional text to add to the invoice, such as directions for how to make a payment and/or any additional policies, you can add them below. After you have populated all the information you would like to have on the invoice, save the page and click "PDF Preview" in the top right corner to download a preview PDF of what it would look like next time you generate an invoice. Learn more about how to create several invoices based on different folios here: Can I create an Invoice for each guest? Where can I find and download invoices? 1. You can generate and open an invoice from within a reservation where it was generated. Can I create an Invoice for each guest?